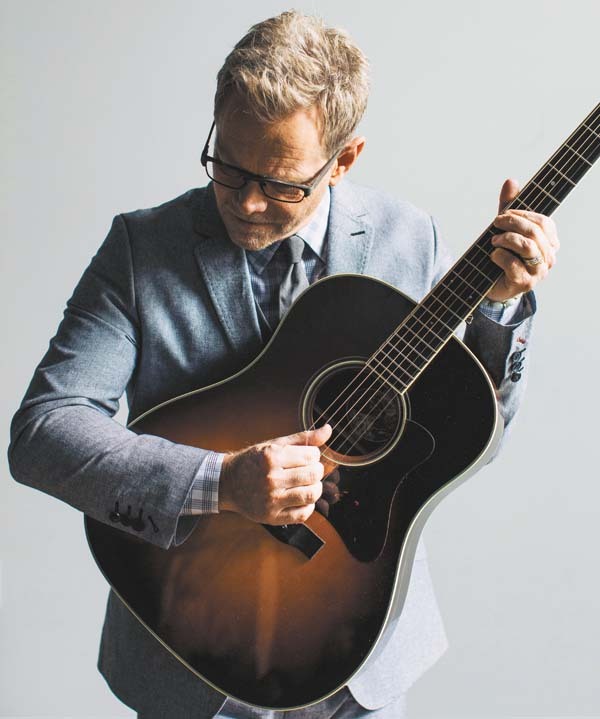 One of America’s most popular contemporary Christian musicians, Grammy-winner Steven Curtis Chapman has sold more than 10 million albums and scored close to 50 No. 1 Christian radio songs. 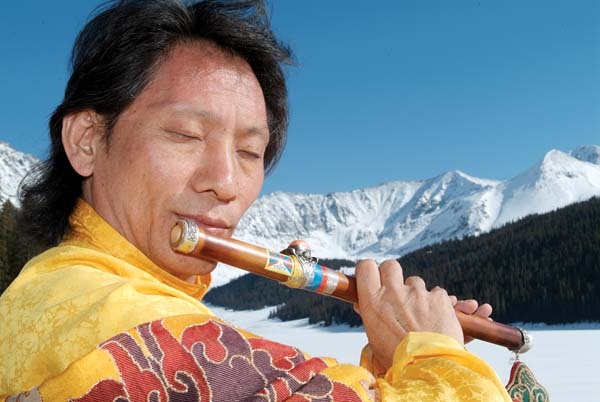 Performing solo at 7:30 p.m. Sunday in Castle Theater at Maui Arts & Cultural Center in Kahului, Chapman told The Raleigh News & Observer he’s been enjoying touring solo. Chapman just released the new album “Deeper Roots: Where the Bluegrass Grows,” which reflects his Kentucky childhood, in which he grew up hearing his father play bluegrass and folk music. Chapman first learned to play guitar and piano hanging around in his father’s music store. Turning professional after a move to Nashville, Chapman had a debut album, “First Hand,” which rose to No. 2 on the Contemporary Christian Music chart. In 1993, his album “The Great Adventure” earned him his first Best Pop/Contemporary Gospel Album Grammy, and American Songwriter magazine named him Songwriter and Artist of the Year. Following his Maui show, Chapman will perform at Nashville’s Grand Ole Opry on Tuesday. 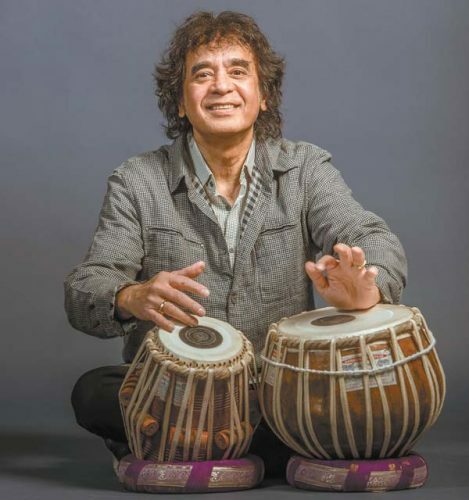 Indian tabla master Zakir Hussain makes his Maui debut in the MACC’s Castle Theater tonight at 7:30 with acclaimed sitar player Niladri Kumar. “Tabla is the principle accompanying instrument in Northern Indian music,” Hussain explains. “In the last 40 years it has also found its voice as a solo instrument, and tabla solos have become very exciting. Now tabla players have also become leaders. I’m supposed to be the leader with this duo with Niladri Kumar. • Tickets are $35, $50 and $65 (plus applicable fees). To purchase tickets or for more information, visit the box office, call 242-7469 or go online to www.mauiarts.org. Michael Franti brings his “Stay Human Tour” to the Castle Theater at the MACC at 7:30 p.m. May 2. Franti was just in Uganda performing at festivals for International Women’s Day. He released “Stay Human Vol. II” in February. • Tickets are $29.50, $39.50 and $49.50 (plus applicable fees). For more information or to purchase tickets, visit the box office, call 242-7469 or go online to www.mauiarts.org. Vidovic has won an impressive number of prizes and international competitions. These include first prizes in the Albert Augustine International Competition in England, the Fernando Sor competition in Italy and the Francisco Tarrega Classical Guitar Competition in Spain. Born in a small town near Zagreb, Croatia, she began playing guitar at the age of 5, and by 7 had given her first public performance. At the age of 11 she was performing internationally, and at 13 she became the youngest student to attend the prestigious National Musical Academy in Zagreb. Recorded when she was 15, Vidovic’s debut album titled, “The Croatian Prodigy,” featured music by Bach and Paganini. She has released a performance DVD featuring works by Federico Moreno Torroba, Astor Piazzolla, Pierre Bensusan, Stanley Myers, Heitor Villa-Lobos and Agustin Barrios Mangore. For her Maui concert, she will perform Bach’s “Flute Partita in A minor, BWV 1013,” Mauro Giuliani’s “Gran Sonata Eroica, Op. 150,” Tarrega’s “Recuerdos de la Alhambra,” Mangore’s “La Catedral,” Domenico Scarlatti’s “Sonata in A major, K. 322, L. 483” and “Sonata in E major, K. 380, L. 23” and “Four Pieces” by Argentinian composer Piazzolla. • Tickets are $45 (plus applicable fees), with a 10 percent discount for MACC members and half-price admission for kids 12 and younger. To purchase tickets or for more information, visit the box office, call 242-7469 or visit www.mauiarts.org. The Maui Chamber Orchestra presents “Young Artists/Rising Stars” concert at 3 p.m. Sunday at the Historic Iao Theater in Wailuku, featuring the winners of its second Youth Concerto Competition, along with a rising star in the classical music world. The first solo clarinetist to win the Concert Artists Guild International Competition in nearly 30 years, Kim became the first woman to win first prize at the Vandoren Emerging Artist Competition in 2016. She is a member of Ensemble Connect, which performs regularly at Carnegie Hall. Ensemble Connect is a highly selective two-year fellowship program under the joint auspices of Carnegie Hall, The Weill Institute and The Juilliard School. Currently a junior at Punahou School, Lee won the 2018 state Music Teachers National Association competition in the Senior Piano category. 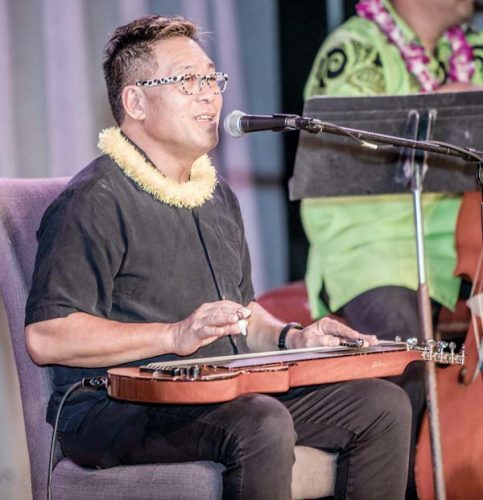 He has performed as soloist with the Kamuela Philharmonic Orchestra and the Hawaii Performing Arts Festival Orchestra. He also won third place at the 2018 Aloha International Piano Competition. A student of Ignace Jang, violinist Nishi was awarded first place in the Hawaii Music Teachers Association Level 3 and National Music Teachers Association Senior String 2017 and 2017 state competitions. In 2016, she performed with the Kamuela Philharmonic and Hawaii Performing Arts Festival Orchestra as a winner of their concerto competitions. A talk story session with the artists will be held at 1:30 p.m. for all ticket holders. 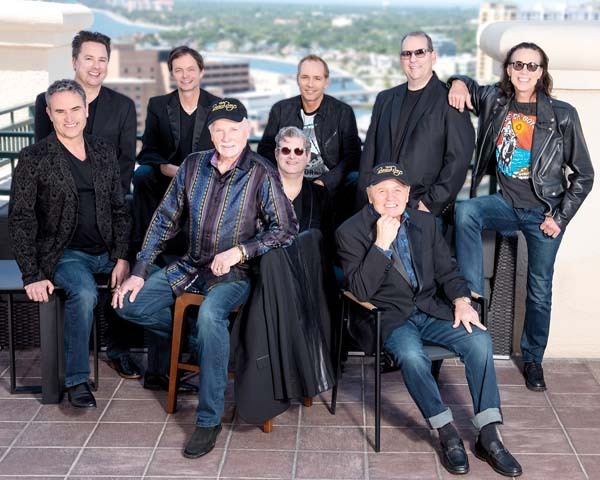 • Tickets range from $27 to $55, and $10 for students. To purchase tickets or for more information, call 242-6969 or visit www.mauionstage.com or www .mauichamberorchestra.org. The Maui musical collective Chala will play three island dates beginning with Wailuku’s Wai Bar tonight at 9. Led by Ben Cerda, shows include members of Steel Pulse and Molokai’s Ekolu Kalama. In December, they released the hot reggae song, “All Night,” in collaboration with Inna Vision and No Doubt’s Stephen Bradley. 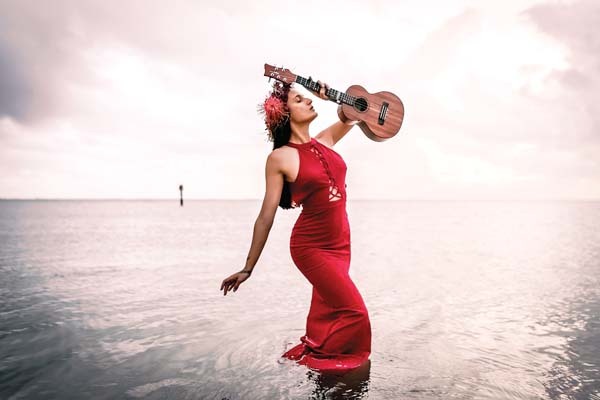 Chala also plays Charley’s Restaurant & Saloon in Paia at 10 p.m. Friday and Tante’s Fish Market at the Maalaea Harbor Shops at 10 p.m. Saturday. Admission is $10 at each location.